This post originally appeared on TheCityFix.com. This week is the third United Nations Global Road Safety week, and the theme is saving children’s lives on roads worldwide. 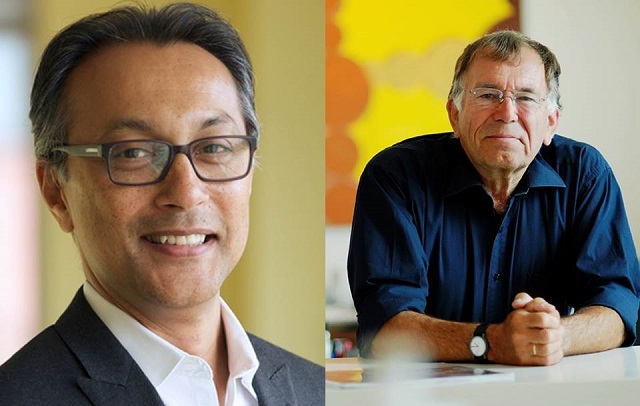 TheCityFix had the chance to sit down with Jan Gehl, renowned architect and urban designer, and Ani Dasgupta, global director of WRI Ross Center for Sustainable Cities. Their conversation explored why rapidly growing cities worldwide need to prioritize moving people over cars, and how a safer city for children is ultimately a safer city for all. Ani Dasgupta (left), director of WRI Ross Center for Sustainable Cities. Jan Gehl (right), founding partner of Gehl Architects. A big focus of Road Safety week is saving the lives of children. Why are children important for creating safer cities? Jan: I would like to open with a story. I was recently in Hanoi, Vietnam and I met a woman Ms. Lan who had just been to Copenhagen. She asked me if we had a baby boom in Copenhagen. I said ‘no it’s actually the opposite--we won’t have any Danish people left in 200 years’, but she couldn’t believe it. There were kindergarteners walking around on the sidewalks, bicycles with several children, young children bicycling on the bike lanes with their parents, and there were children walking to school. My granddaughter who is 7 can stay on a continuous sidewalk. This is an important change for the life of children. I always say if you come to a city and see many children, it’s a sure sign of city quality. Ani: I grew up in India. Nearly all Indian cities, whether its Chennai, Delhi, or Mumbai, are scary places to be. You could be pushed over, run over. Our motivation is sustainable cities, but we think a city can’t be sustainable if people can’t raise their children safely and thrive as a family. Traffic accidents are a leading cause of death for children in cities worldwide. In these rapidly developing cities, how do you convince mayors and decision-makers that people-friendly policies need to be a priority? Jan: In Curitiba or Bogota, they had a policy that by making poor people more mobile, you would improve their life and economic conditions, rather than spending three hours on a slow bus. This is the kind of policy that is needed. In Copenhagen, we have been talking about fostering walking and cycling for 50 years, so it’s become part of the general mindset from the mayor down to everyone. When you change the mindset, people will be in favor of certain policies. Ani: I totally agree, but the problem is that we don’t have 50 years. We have a short window to avoid large lock-in effects. In Kolkata, India where I visited recently, I was told that they are banning bicycles and expanding roads. But car drivers are only a small percentage of the population, so this is highly inequitable. How do we accelerate this transformation? Jan: People can never ask for something they don’t know about or haven’t seen. A best practice is very strong medicine, so we need to be sure people are informed about the alternatives that exist, and be inspired by what they have seen elsewhere, like in Curitiba, or Bogota, for example. Also, once people are aware of the costs involved, they can see: Every time someone rides a bike 1 km, society gains 42 cents. Every time someone drives a car 1 km, society loses 20 cents. If you put all this together, it’s much cheaper to bicycle, and it’s very good for society to save on health costs for people in their old age. Ani: It’s also a problem of capabilities. I’ve visited many of these rapidly developing cities and I’ve spoken with the mayors there. Many just don’t have the capacity to build new transit options fast enough to keep up with the demand. Jan: I know that there are great problems in overcoming the political system and corruption. But even in China, we recently worked in Shanghai and found that they are in the process of realizing there is no future in the car-oriented policies they pursued in the past. How can we apply the successes from cities in Europe, like Copenhagen, to rapidly growing cities that face different challenges? Ani: In the cities where we work, like in Brazil, China, India, Mexico, and Turkey, the parents of middle class families (like my parents) grew up without cars. The car is a social aspiration. We have to be aware of that reality as we work to convince cities of the benefits of reducing cars. Jan: This is true, but we can use these cities as inspirations to show that it can be changed by clever policies. The South American mayors are good examples of this. In all my work, I take man as universal: we are built the same way—we have the same senses, so solutions can be universal. What is good quality in Copenhagen is also good quality in India.